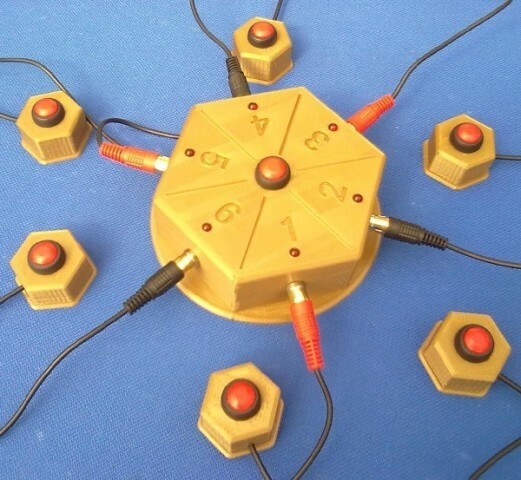 Quiz Buzzer Buttons + Dice Function #3DThursday #3DPrinting « Adafruit Industries – Makers, hackers, artists, designers and engineers! Arduino project for quiz game players. out any other buttons until the re-start button is pressed. An LED will indicate who pressed first. A longer press on the re-start button will spin the LED dice.